An approaching Typhoon Trami, rumbling away around the Ryukyu Islands, announced its impending landfall on mainland Japan with some sizeable and surfable, if rather choppy, waves in central Chiba on Saturday September 30. 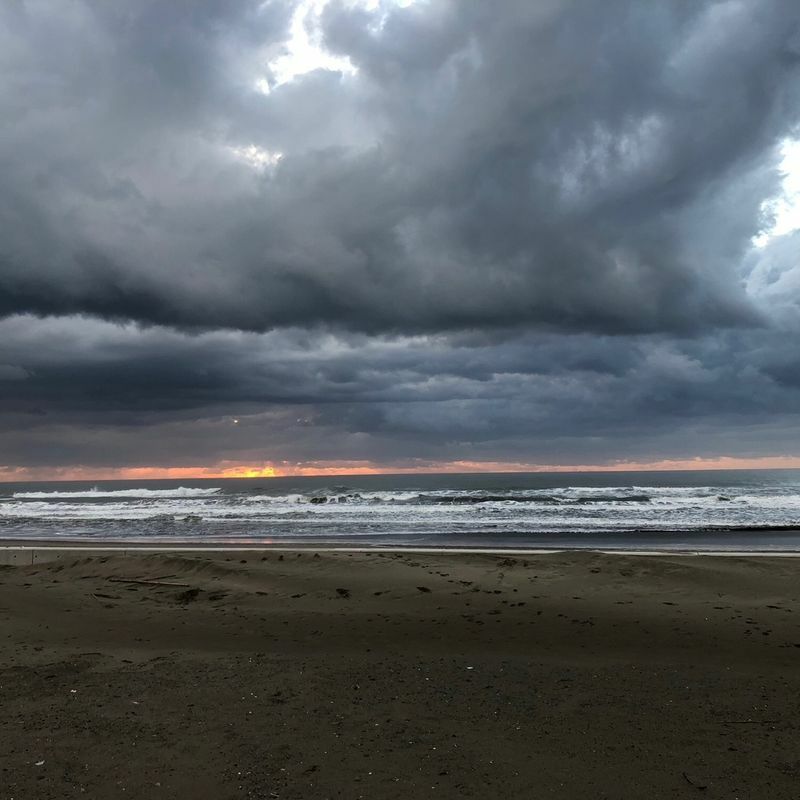 I’m normally hesitant about surfing during the approach of a typhoon -- in contrast with post-typhoon surf conditions in Japan which are quite often glassy, clean and under bright skies, pre-typhoon conditions can be wild and windy. The main thing though is that I don’t want to be in the next day’s newspaper as the plonker who went surfing during a typhoon and got in trouble, or worse. Still, pre-Trami conditions at my regular break looked manageable and the eye of the storm wasn’t due to hit the Kanto area until late Sunday. Paddling into the line up though at 5:30 in the morning under a moody sky that looked almost Biblically pissed off, and with only one other surfer out, would have been quite unnerving had it not been so exhausting, ducking under messy wall after messy wall of grey - green typhoon surf. 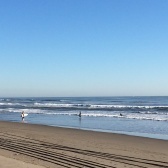 On the larger swells at this particular break, ocean bed contours can only really create surfable waves in deeper water, meaning a longer paddle out to reach them. If nerves were put on hold in order to concentrate efforts on getting out the back in one piece, they came throbbing back once I was in place and waiting for waves. Out here in the gloom, keeping a keen eye out for the larger walls that sometime popped up on the horizon I began to question if I’d made a mistake paddling out. Can I get back in? Am I going to get held down by the larger sets? Am I going to be in the newspaper tomorrow? Where is everyone else? A good wave, however, typically puts such concerns to bed and once I got to grips with the conditions and felt board wax firmly under feet as I was skipping down the face of some the largest waves I’ve ridden out here, all was well. That morning out turned out to be a great session, albeit one that worked me over a few times, shared with a few more surfers who had simply taken a little longer getting out of bed of the Saturday morning. Nice to get salty at the start of a weekend. The salt didn’t end there though. 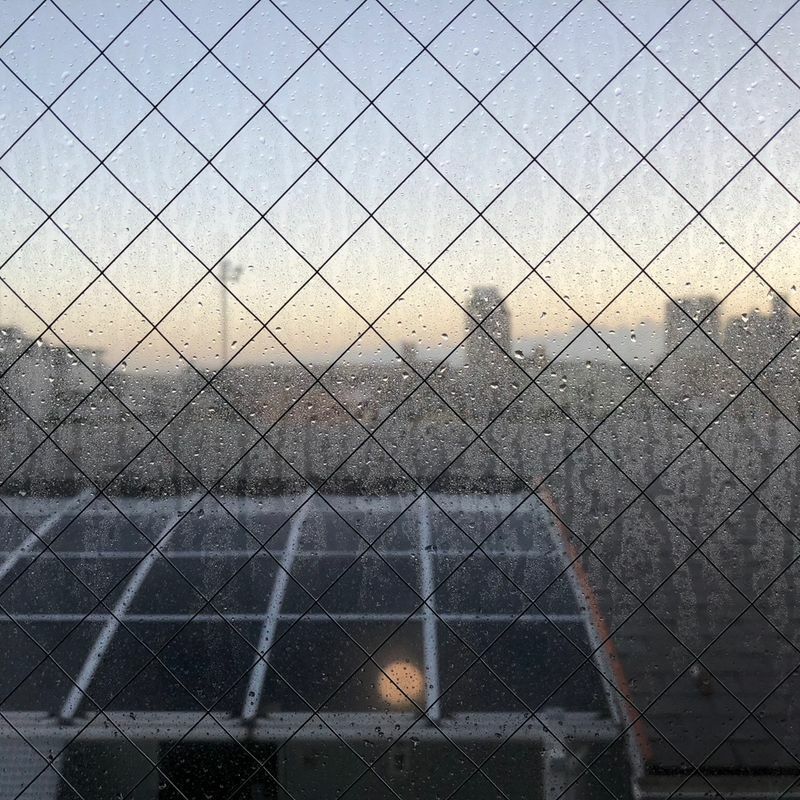 After Typhoon Trami swept its howling brunt over Kanto in the early hours of Monday us lot in Chiba and across the Japan capital, and other areas besides, woke up covered in salt. Actually, I didn’t notice it initially as I was more concerned about the state of the Tozai Line its ability to get me into work. But then it made the news. The town of Onjuku, on the Chiba coast, had suffered a power outage due to dried salt talking out power lines. The biggie though was the typhoon-bourne salt forcing Keisei Electric Railway Co. to suspend all its train services in and around Tokyo. The salt had been the cause of fires on the cables that helped power the trains. Keisei Line trains are a key mode of access between Tokyo and Narita airport. What fun it must have been for international travelers on that day! Things were less serious on a personal level. The first order of business was to get the car washed as it had received a good covering which could have lead to long-term problems had we neglected to get it cleaned. I took the mamachari out yesterday, and that’s covered in salt too. Still, the mamachari spends its life outdoors exposed to the elements so, well, it’s been pretty much screwed since I handed over the money for it. And then there are the windows to the apartment. Living close to Tokyo Bay as we do, they eventually gather a coat of saltwater between annual bouts of ‘big cleans’ in January, but Typhoon Trami has added about five year’s worth of coating in the space of a few hours. I would have cleaned them this weekend (the windows are my job) but I thought I’d hold off until Typhoon Kong-rey had properly cleared off. Did you get a coating of salt due to recent typhoons in Japan?